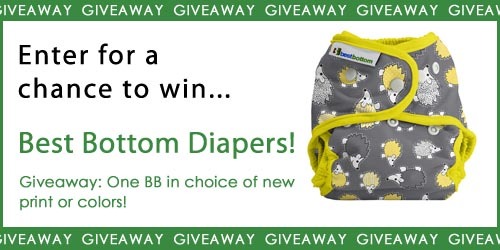 Best Bottom Diaper New Colors/Print GIVEAWAY! Buy a Bottom, Get a Bag SALE! 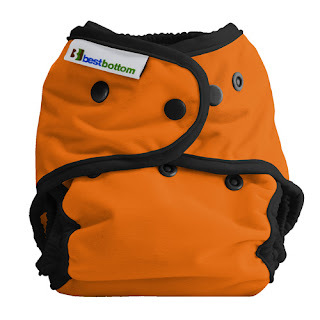 Jack O' Lantern Best Bottom Diaper GIVEAWAY! Before we invested in cloth diapers, we asked around for the best advice our cloth diapering friends could give. One piece of wisdom that kept cropping up over and over was to use cloth wipes along with our diapers. If you think about it, cloth wipes make a lot of sense. Why throw a cloth diaper into your pail or wet bag and then have to find a separate trash can for a disposable wipes? It made sense logically, but logistically it seemed to pose some problems. Should we keep the wipes wet all the time? What about a wipes warmer? How do you take reusable wipes out of the house with you? Do you really need premade wipes solution? In the end, we decided to keep it simple. I made my own wipes out of 7” by 7” flannel squares that I zig-zag stitched on my sewing machine. Then, I bought 1 spray bottle (the type used by hair stylists to hold water) and 1 travel size spritz bottle. I made my own wipes solution by mixing 1 cup of water with ½ tsp lavender Dr.Bonner’s soap and ½ tsp baby oil. I put the homemade solution into the spray bottle to use at home and into the spritz bottle to put in the diaper bag. To use the wipes, just simply spray the wipe before right before wiping baby then put the used wipe into the wet bag or pail with the diaper. Not the crafty type? There are plenty of readymade wipes and wipe solution out there to try. In general, fleece wipes are going to be softer and flannel wipes are going to be thinner to get in all the nooks and crannies. There are also cotton and hemp options out there for families looking for natural fibers. Some families also choose to soak their wipes in solution or water so they’re always ready to be used. Wet wipes can be stored in a wipes pouch, like the ones made by Planet Wise, or can be kept warm in a warmer. Just like with diapers, every family is going to have their own preferences. Whatever you choose, cloth wipes are worth the investment. They’re also great for sticky fingers, snotty noses, and little spills, so they’ll be useful for years to come. Guest blogger, Heather, is a work-at-home violin and piano teacher, but she considers her full-time job chasing around her two sons, ages 3-1/2 and 4 months. She lives in Great Falls, Montana and loves getting outside and enjoying her incredible surroundings. FREE shipping on all Best Bottom Diapers and Planet Wise Products in the US! Nicki is away at the ABC Kids Expo shopping for new and exciting things for Nicki's Diapers! 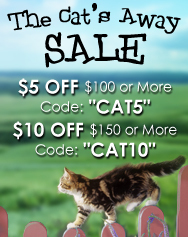 Valid 10/11-10/18, free shipping on all orders over $75 and free gifts on all orders over $100! 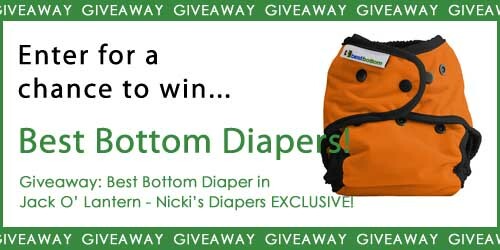 Nicki's Diapers Exclusive Best Bottom Diaper has arrived! No tricks about this diaper! The Nicki's Diapers EXCLUSIVE Best Bottom Diaper, Jack O' Lantern, has arrived just in time for Halloween! Treat your little one to this limited edition, made in the USA cloth diaper while supplies last! FREE shipping in the US! All proceeds from Jack O' Lantern go to charity! You can buy Jack O' Lantern for $16.95 with FREE shipping here! When we were initially considering how to build our diaper stash, we debated over whether or not we wanted to have a diaper pail or simply use a large wet bag when at home. The decision was made when I saw all the cute prints Planet Wise had for their wet bags. It may seem frivolous to care that much about looks, but I have a philosophy that if you have to look at something every day, make it something beautiful. Apparently the fabric purchasers at Planet Wise agree with me! We started using our owl print wet bag with our older child, and I was immediately grateful for my decision to go with a wet bag, and for more than just aesthetic reasons. After disposable diapering our oldest child for over 2 years, I was so tired of our house smelling faintly of dirty diapers. Our Planet Wise wet bag, however, holds in any and all smells all the time. It was literally a breath of fresh air (sorry, bad joke)! Once we got brave enough to venture out with cloth, we also started using the small Planet Wise wet bag we received as a free gift from Nicki’s Diaper for our $225+ order. While not my favorite color , it definitely does the job when we’re out and about. The small size is perfect to hold 1-2 pocket diapers or 2-3 prefolds or stay dry inserts; it’s perfect for a morning or afternoon running around town. When we stick closer to home, the large size wet bag easily holds 2-3 days of diapers. One of the best features of the bag is that we can fill it with diapers, carry it down to the washer, dump the diapers out into the washer, and then throw the wet bag in the wash with the diapers. I LOVE not having to handle the dirty, gross, smelly diapers before they go in the washer. In fact, I’m not sure I would be so quick to cloth diaper if we still had the old wet-pail and bleach system. Yuck! 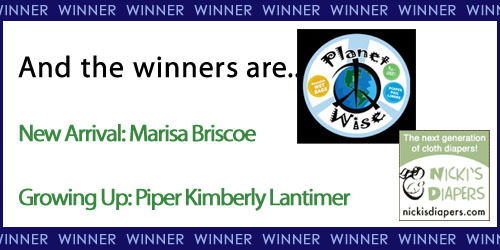 To sum it up: we love both of our Planet Wise wet bags. In fact, the large owl print has significantly upped the cute factor of our nursery. They’re well made, do the job, and the price is right. What more could you ask for? Guest Blogger, Heather is a work-at-home violin and piano teacher, but she considers her full-time job chasing around her two sons, ages 3-1/2 and 2 months. She lives in Great Falls, Montana and loves getting outside and enjoying her incredible surroundings. Congratulations! Please email annie@nickisdiapers.com within one week to claim your prizes!